One of my goals for this website is to show how versatile Persian food can be. 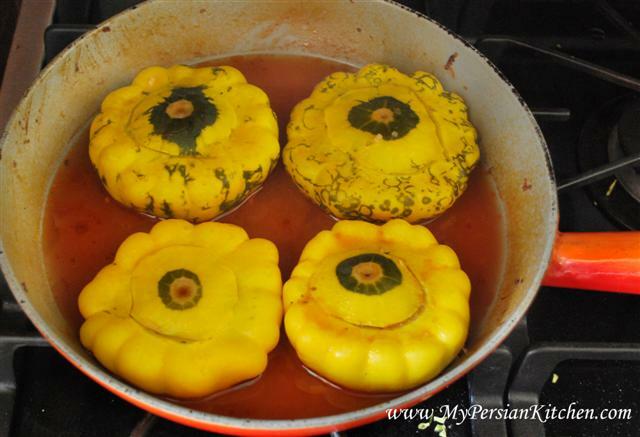 Having been a vegetarian in the past, I am all about posting vegetarian recipes and showing my readers how some Persian dishes can easy be converted to vegetarian. 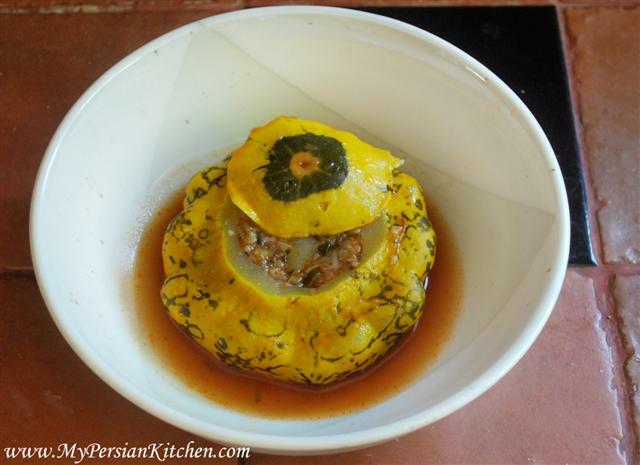 This is the second recipe for my self proclaimed “Squash Week.” My last post featured Dolmehyeh Kadoo with meat. However, this one, is all vegetarian. Enjoy!!! Cook rice and split peas for 30 minutes. Season with salt. I was trying to be cute here and decided to throw in some green split peas to add some color. Let me let you in on a little secret, because I am honest like that, it was a bad idea. They took much much longer to cook than the rest. 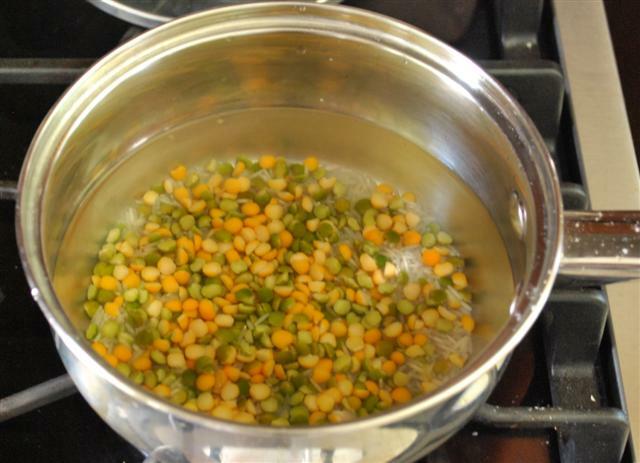 So my yellow split peas were a little over cooked it. Grrrr. 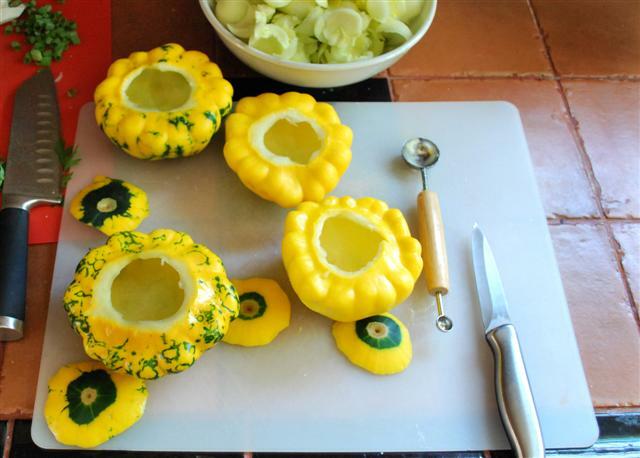 Cut off the pointy end of the squashes so that they stand up straight. Cut off a little bit of the opposite end. Carefully, carve out the flesh. 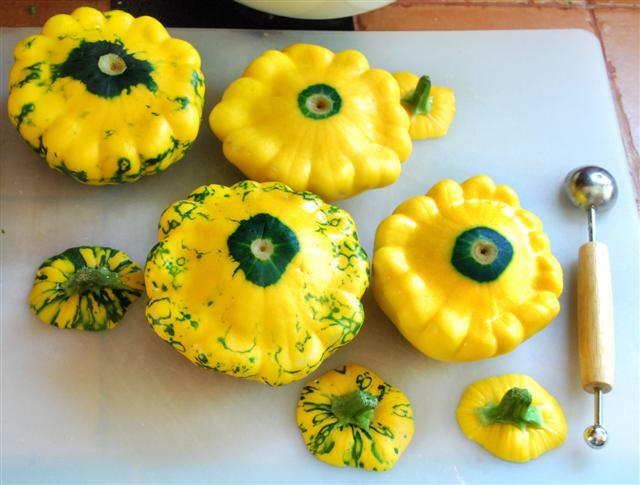 These type of squash are a little trickier and require more patience and attention. Save the flesh for later use. Rub some salt on the inside of them all. 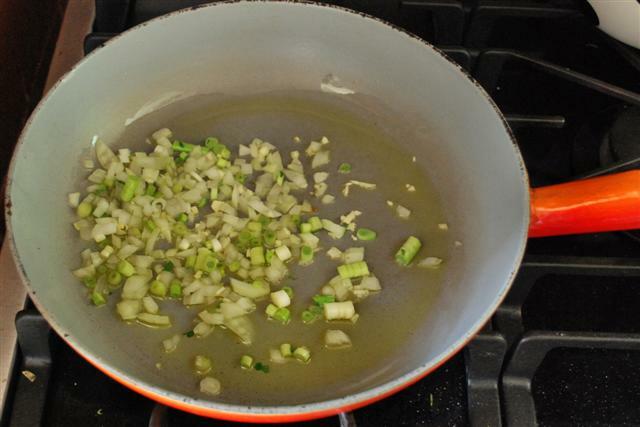 Sauté onion, garlic, and the white portion of the green onions in some oil until translucent. 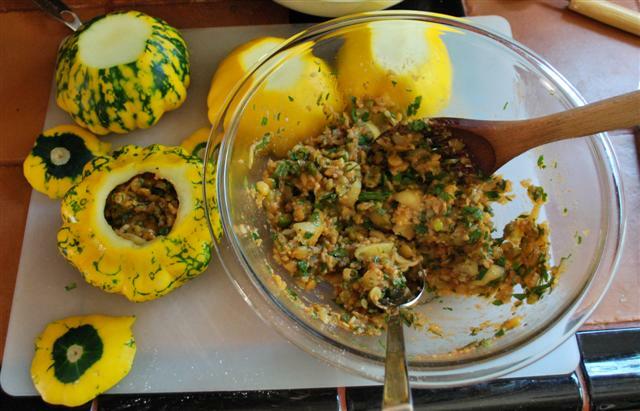 Add half of squash flesh and cook for 20 minutes. 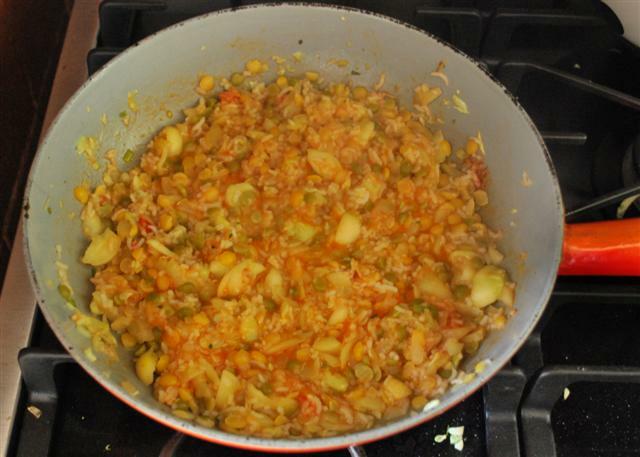 Add split peas and rice with their remaining water, 1 tbsp of tomato paste, and season with salt and pepper. 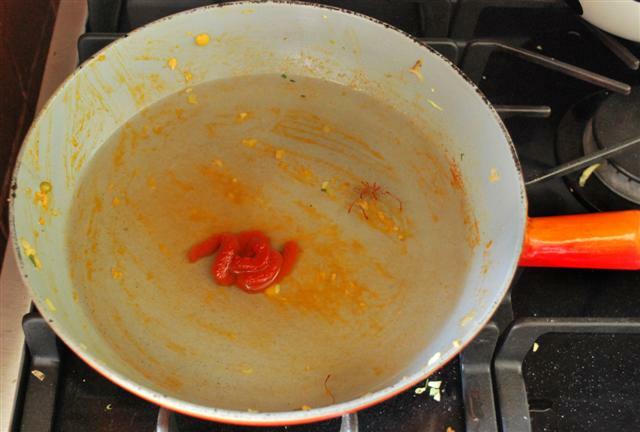 Cook for a few minutes longer until water is absorbed. 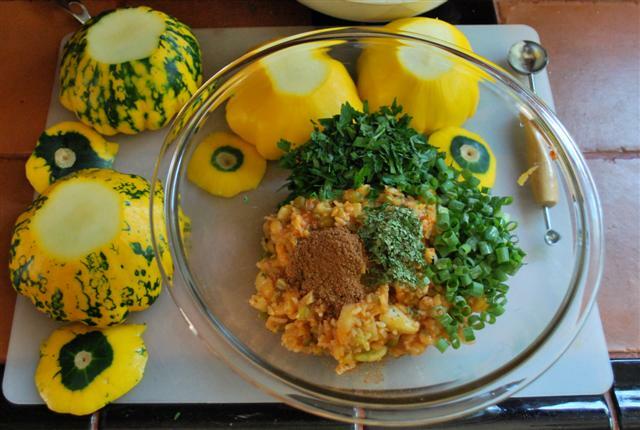 In a bowl mix the squash mixture with parsley, green portion of the green onions, tarragon, and advieh. Adjust seasoning with salt and pepper. 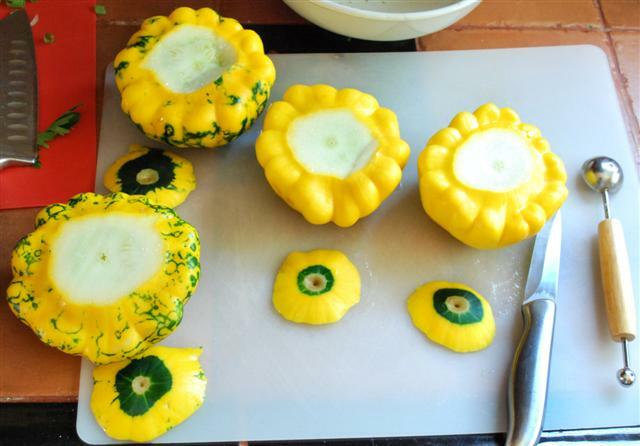 Load up each squash with the mixture. In a pan bring 1 1/2 cup of water to boil. Add 1 tbsp of tomato paste and a pinch of saffron. Add a little salt to it as well. As you can see, once again I used the same pan. 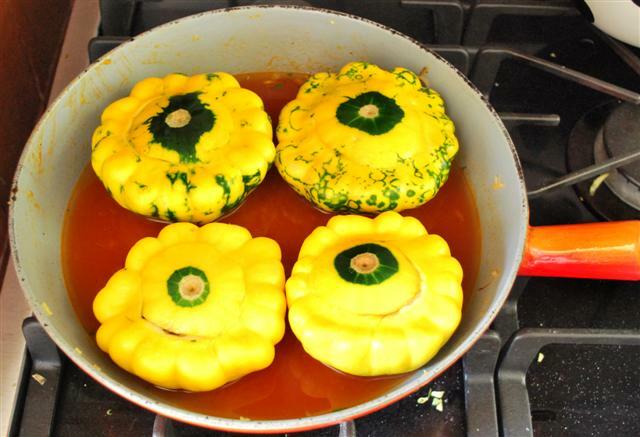 Place the four squashes in in the pan, baste with the juices, cover and bake at 375° for about one hour. Baste during cooking time. 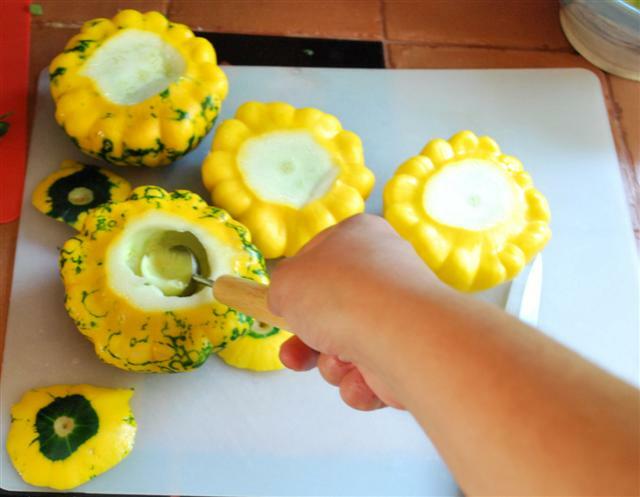 The squashes will be ready when a fork is easily penetrated in the skin. 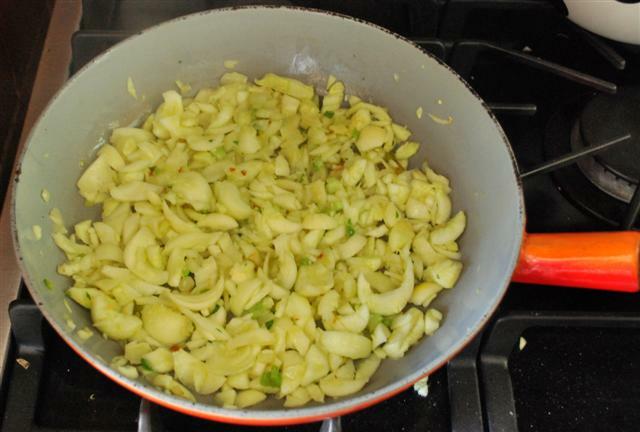 Serve with a bit of its own juices. What an amazing website! This recipe looks delicious– I am going to try it when I have my vegetarian friends over for dinner in a couple weeks. Your cousin Farhad put me in touch with this site and I am definitely going to be a frequent visitor! Thank you for stopping by Homa. I hope you will enjoy the recipes! There were, but you know who ate them all!!! What a beautiful dish!!! I love your blog. Thank you Erica! I love your blog too!